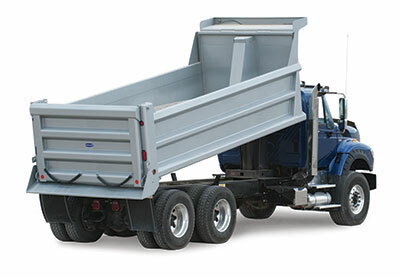 DuraClass, a designer and manufacturer of Class 3-8 dump bodies and hoists, released its DuraClass HPT-316 dump body. The DuraClass HPT-316 dump body features clean horizontal side braces, and the deep-flange longmembers eliminate the need for crossmembers. This makes the HPT-316 easier to keep clean in harsh environments where slush and salt build-up take their toll on hardworking equipment, the company said. The newly designed adjustable cab shield is wider than standard cab shields and features tarp mounting holes and a built-in wind deflector. The HPT-316 also features insulated panels with stainless steel covers. All DuraClass dump bodies are available with AR450 steel. Additional steel and stainless steel options are available.